An especially busy stretch of one of Charlotte’s main highways was recently ranked 15th deadliest in America. 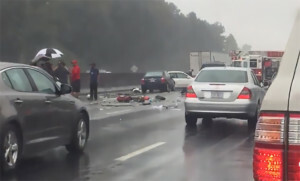 Out of the 164,000 miles of highways in America, the stretch of I-85 that runs through Charlotte has seen one of the highest levels of deaths-per-mile, according to a report by Teletrac Navman, maker of GPS tracking devices for vehicles. I-17 in Myrtle Beach also made the Top 25 list, coming in at #20 with a total of 521 deaths along a 1,206 mile stretch of the highway. 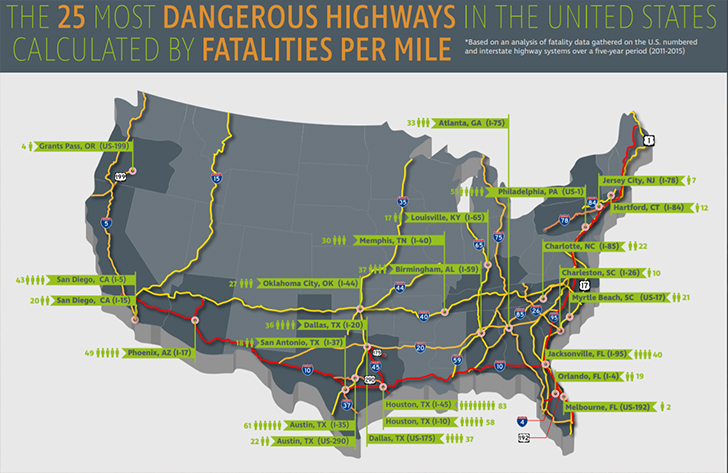 I-4 from Tampa to Daytona Beach was ranked as the #1 most deadly highway in America, with a total of 165 deaths along a 132 mile stretch of the highway. You can see the entire report by Teletrac Navman here.